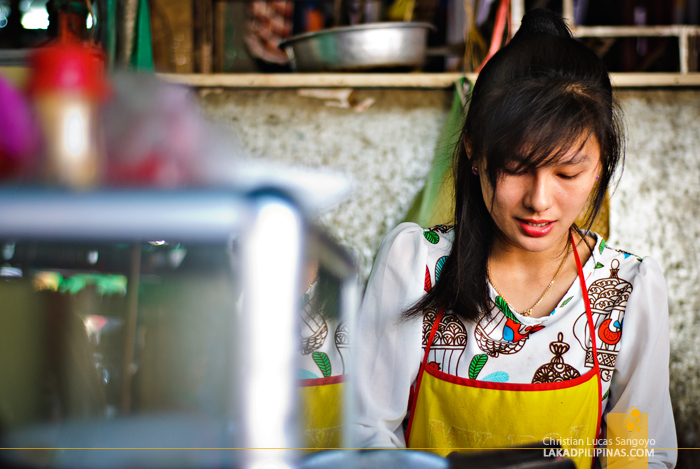 There’s this really pretty lady right out at the Leu Market selling cheap breakfast fares, you should definitely eat there. That’s Dave, our host from Angkor Tropical Resort telling us where we can eat in Siem Reap right after arriving in Cambodia after our early morning flight from Kuala Lumpur. It was my first time in Siem Reap. 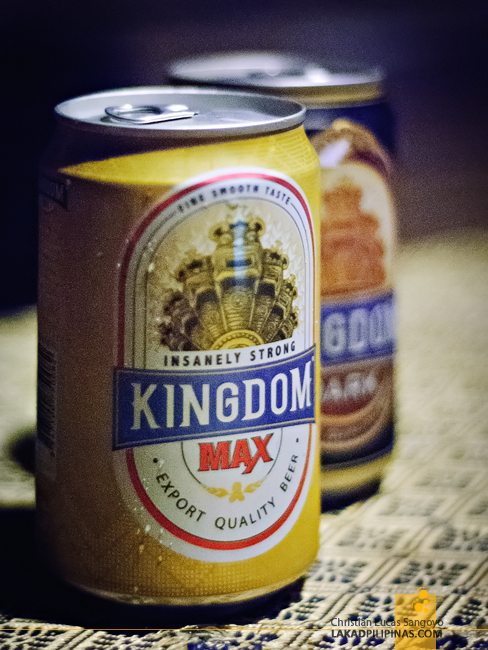 It was my first time in Cambodia. 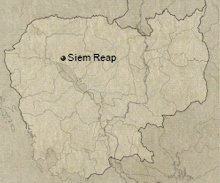 I know how to pronounce Cambodia, but I have no idea how to enunciate Siem Reap. Sim Rrip, I heard a local say. Sim Rrip it is. A few said that it means Siam Defeated, while others say it is Siam Destroyer; both referring to the old clash between the Khmer (Cambodians) and the Siamese people (Thai). OUT TUK TUK DRIVER GOT MY BLOG RIGHT! 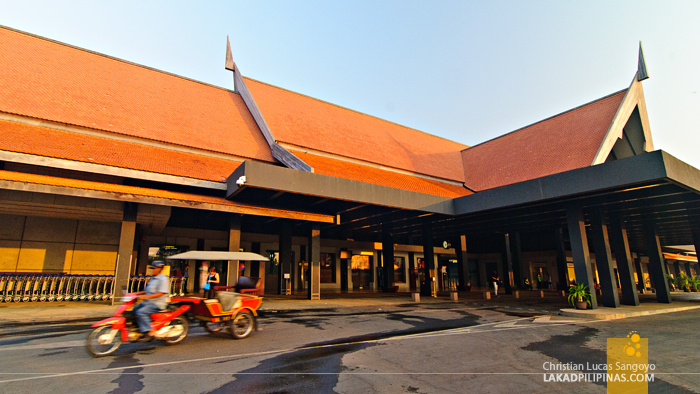 Landing at the Siem Reap International Airport, we were fetched by a tuk-tuk driver from Angkor Tropical Resort, which we pre-booked before flying out of Manila. My first impression as we got out of their handsome airport, was how it looked a bit similar to the countryside of the Philippines. That is until we passed its ornate public buildings, the huge resort hotels and finally the confusing four-way no-holds-barred traffic system, which as I observed, still has a system to its madness. ANGKOR TROPICAL RESORT FACADE, FRENCH INDOCHINA? 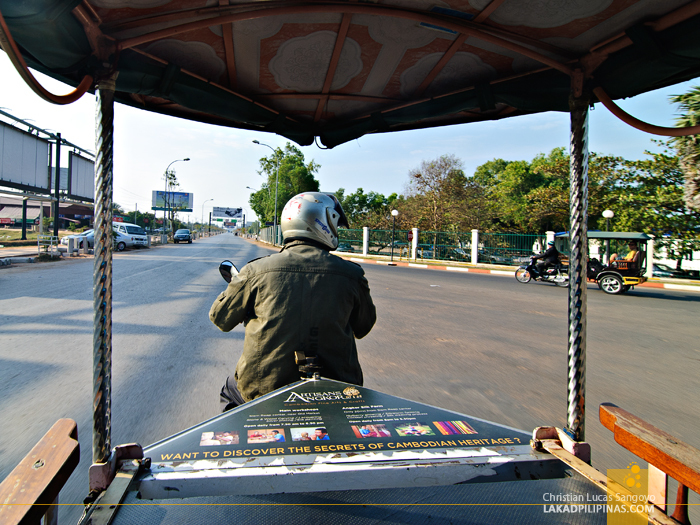 Less than an hour later, our tuk-tuk turned left along National Highway 6 and entered a narrow street right after passing Leu Market. There, we met Dave; a cool, soft-spoken American dude who decided to stay in Siem Reap and build his Angkor Tropical Resort. 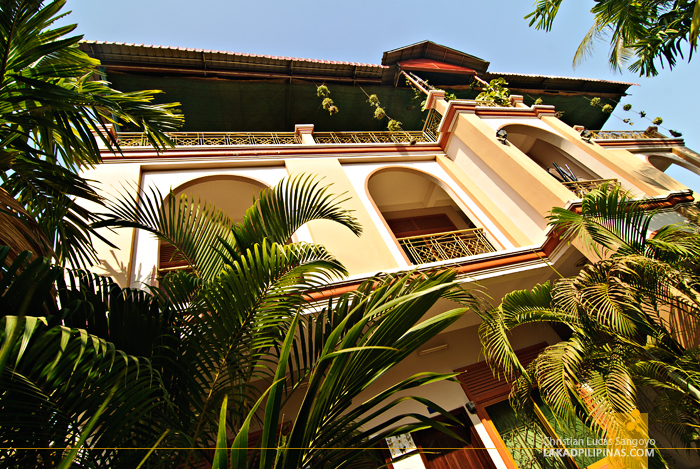 Surrounded by lush tropical greens, the building looked quite new and has a bit of a character too. OUR SPACIOUS ROOM! WITH WI-FI TOO! 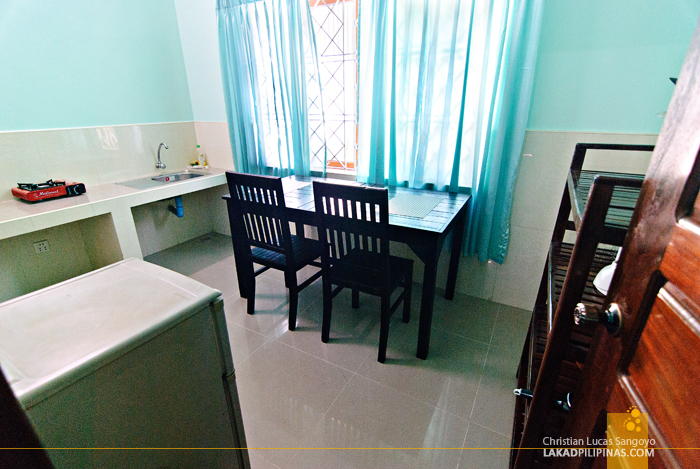 Each room opens to a veranda slash corridor and we were assigned one at the ground floor level (check rates). It was roomy, with its comfy king-sized beds. It has a flatscreen cable television, a closet, some drawers, free mineral water, free wi-fi Internet and air-conditioning. 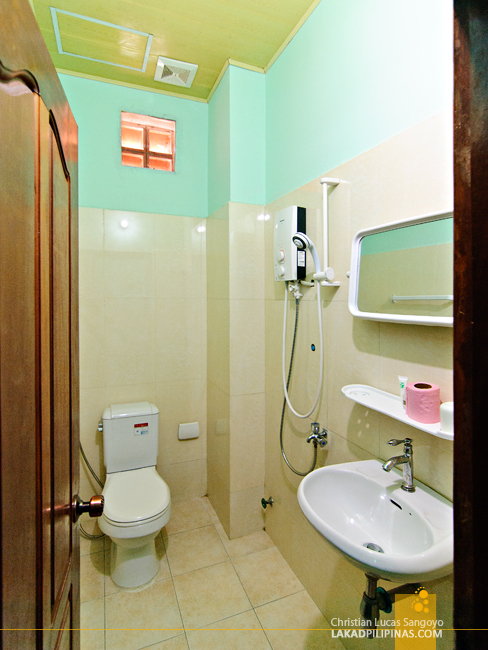 It has an en suite toilet and bath, with a hot shower, fully functioning water closet and a bidet. It’s quite spacious and more importantly, very clean. HUGE KITCHEN WITH REF AND STOVE, PERFECT! Next door, we found a full blown kitchen with refrigerator and a dining set! We couldn’t have asked for more! It has a butane gas stove (you’d have to buy your butane canisters from them), and we did cook a few meals here to save a bit, we’re reserving our dough for beer. Haha. After settling down, we immediately headed to the Leu Market in search of grub. We were hungry! Good thing the local market is only a few steps away from our place. What I immediately noticed were the number of stalls selling French bread. 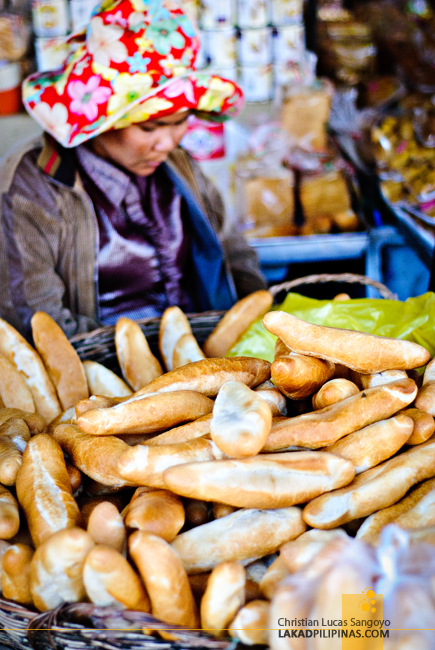 It’s like their national bread, and they’re quite cheap too at fifty cents (US dollar); undoubtedly an influence from the country’s French Indochina era. And yes, currency in Siem Reap consists of both US dollars and riels. The local currency is so weak (1 dollar equals to about 4,000.00 riel), that dollars are more widely used than riels. It didn’t take long before we found the pretty lady Dave was talking about. We waited a bit for her stall to clear up, as it seemed like a popular place for the locals, before we requested for what most of the locals were ordering; bai sach chrouk (0.75 USD). 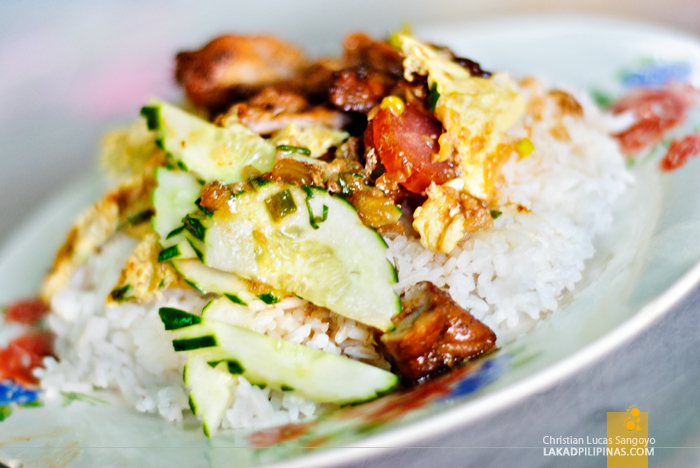 It’s a traditional Khmer breakfast of rice, strips of grilled pork, hand-stripped (like in front of us) fried eggs, some pickled cucumbers, shallots and side dishes of soup and an achara-like dip. Before eating, we saw the locals pouring a sweet-spicy sauce over everything. We followed suit. 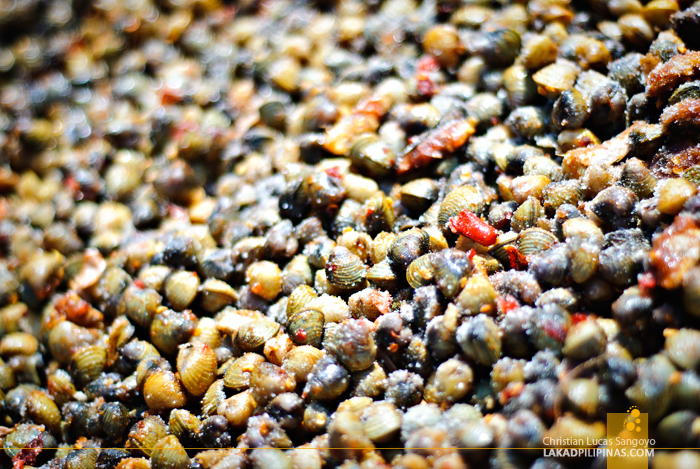 Not only is the lady pretty, but her dish rocks! 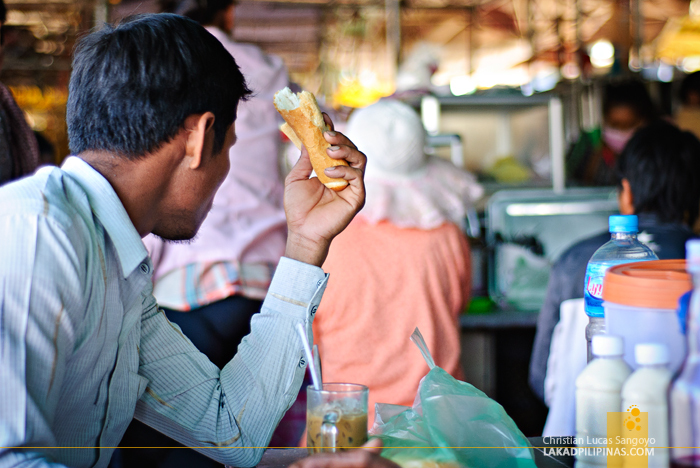 We visited this stall everyday for our breakfast fix; our drinks provided by the next stall, iced coffee (0.50 USD). 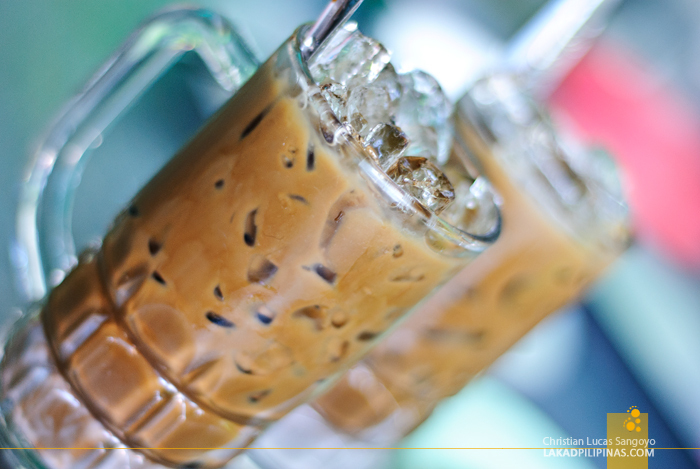 It’s quite similar to Malaysia’s kopi ice, very very sweet and very very cold. 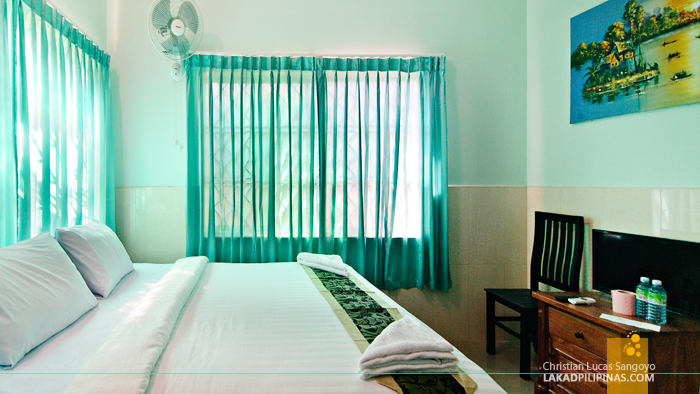 We usually return to Angkor Tropical Resort after a full day of temple run and a night out at Siem Reap’s Pub Street. Towing a bag of local beers with us, we’d stay an hour more at the nipa hut right outside our room and chat a bit with the resort crew and a local Filipina who’s also staying at the place. 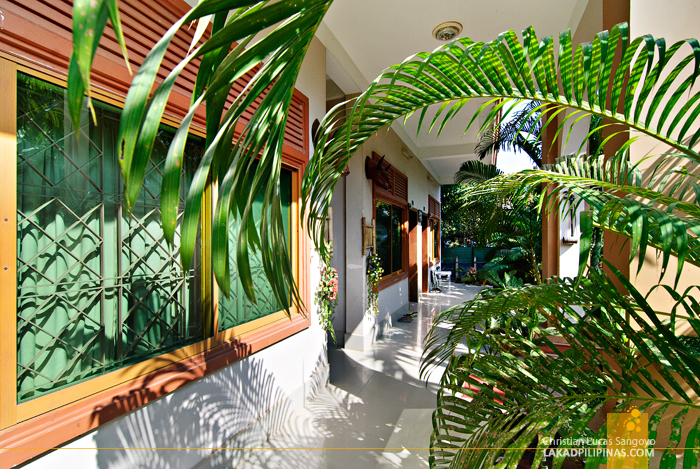 For four days and three nights, Angkor Tropical Resort, became our home away from home in Siem Reap.